UPDATE @ 5:08 PM EST - Looks like the fares to Dallas are creeping back up. Just a heads up that United is having an unadvertised sale from Toronto to Dallas, Texas (DFW) and Miami, Florida at the moment. 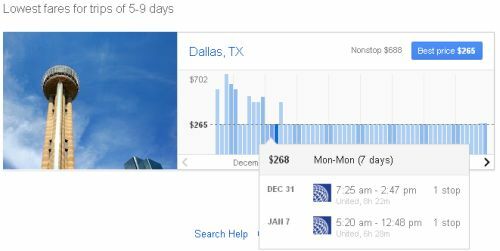 Fares to Dallas have dropped to about 50% below the usual bottom. The drop to Miami is not as significant, but it is interesting that it's available on such a large date range. The fare is available throughout the entire 2013 schedule at the moment, pretty much any date combo looks to be available. I'll also use this post to mention a new tool that Google is experimenting with, called Google Flights Explorer. This is not to be confused with Google Flights. Try entering some broad destinations into Flight Explorer to get an idea of it's power (ie: Asia, Scandinavia, etc). Being an unadvertised sale, it can end at any moment. 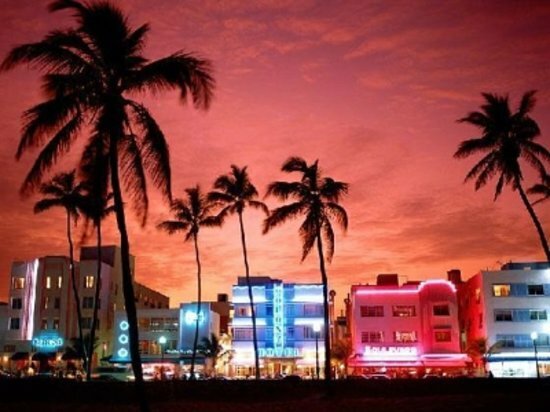 toronto, yyz, flight deals, united states, florida, united, dallas, texas, dfw, miami and mia. 6 Responses to "Toronto to Dallas, Texas or Miami, Florida - $268 roundtrip after taxes - throughout schedule"
That google fare explorer looks quite nice! It's super quick and much easier to use than the similar SkyScanner that allows broad country/area wide searches. Yep! SkyScanner is still useful though, specifically when searching within Europe. Just booked Feb 9 to 19 to $32 all in...(Had some united voucher to use up) that's for 2 people...now time to find a cruise!!!! The price for the flight i was looking at has gone up within the last 2 hours :( Guess there's no time to procrastinate with these deals! Nope, sometimes they're gone within hours! WOW, you have some great deal, friends and i bought 8 tickets. WE also used our United certs. You have been finding some amazing deals however the airlines must have your blog, they die quickly.